This is one of the well-established parlour working in the business hub of this country named Karachi. Ten years ago this beauty salon came into view and with the passage of time, this has become on the most demanding salons. 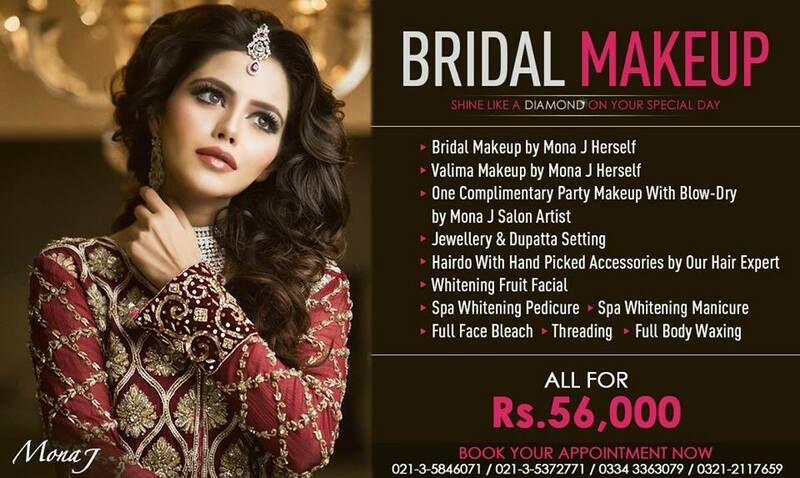 All type of beauty services are offered by them, include bridal or party or casual makeup. 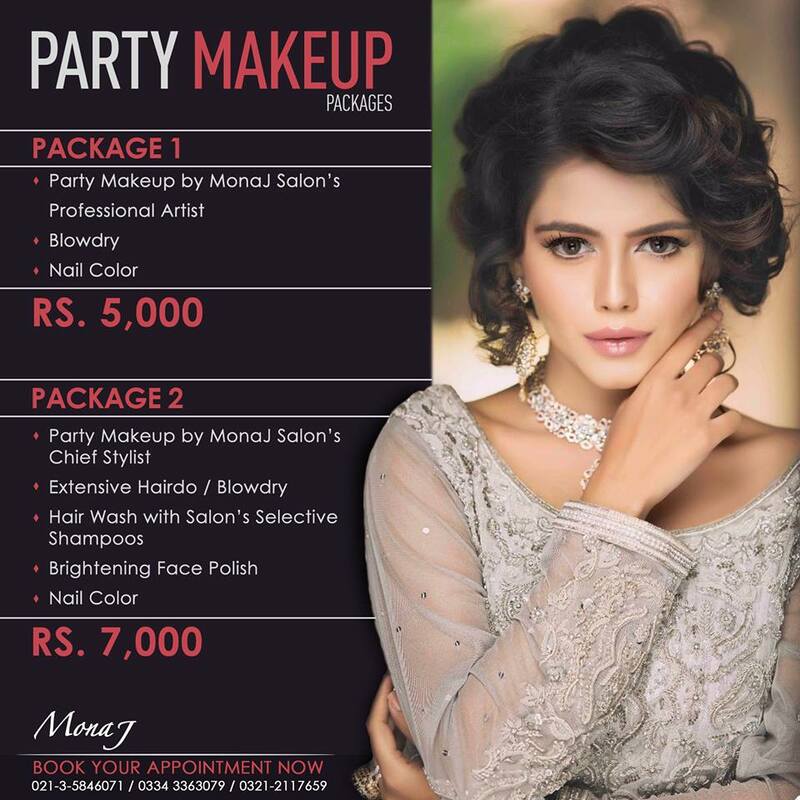 In 2019 price list of Mona J Salon is offer number of deals, through these kinds of packages one must get a lot of benefits. Once you will be visiting here, you will see that wide in range of salon and beauty assistance are given by them, you can try out their manicure and pedicure, try any wedding day makeup services, and they also offer amazing haircuts and colors too. One can try out their body massages and also hair treatments. 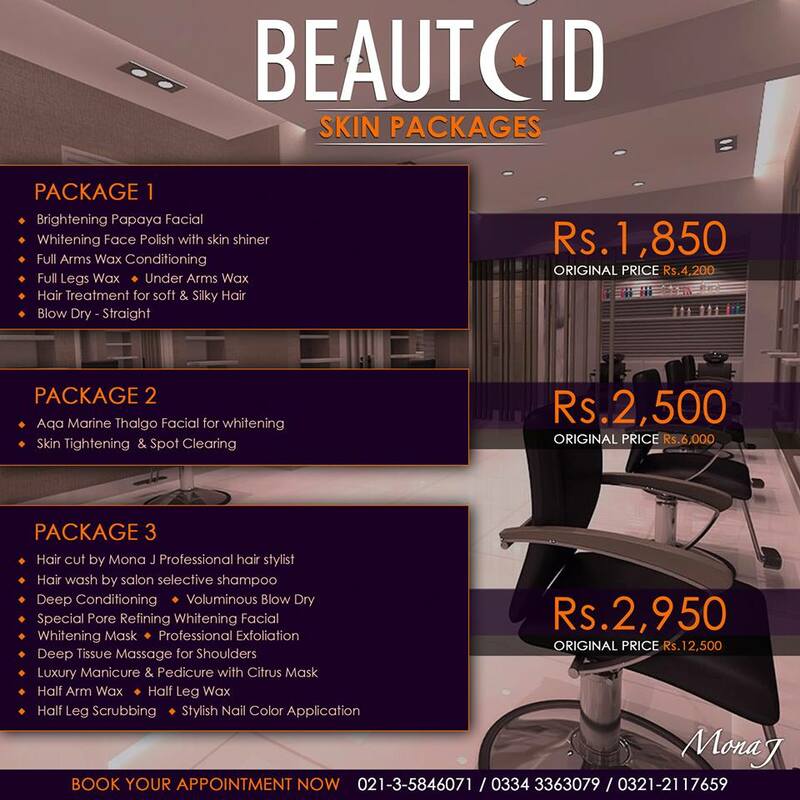 All kinds of facials in the best quality are given by this place. You must have this information that the owner of this salon, she completed her education by getting a masters degree in the subject of Economics. She has received many of the beauty diplomas. She has worked with the topmost photographers. She has worked with top models too. Yes, she is quite professional. 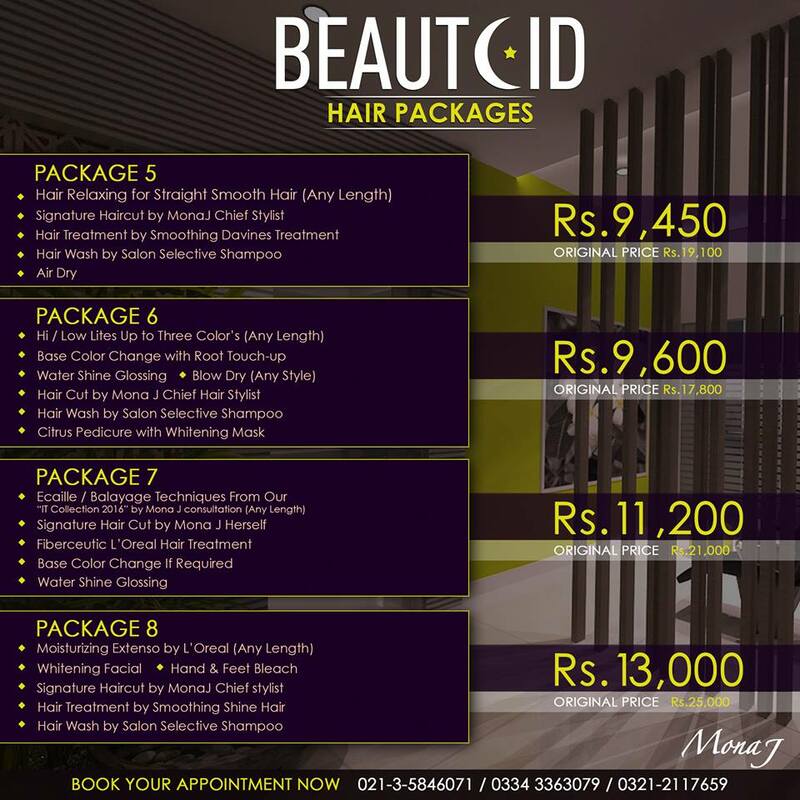 To knows better about Mona J Salon price list 2019, check out their Tariff Card. 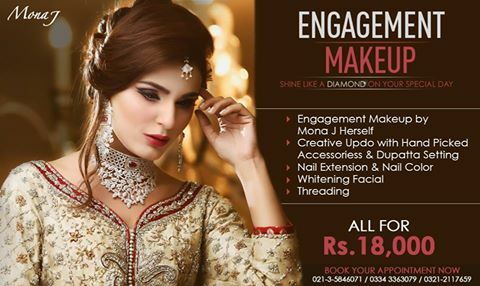 For those who are looking for some offers, Allenora Lahore Deals 2019 is also best to follow. Note: The deals in below images are old, in order to get the latest info call on the given number that is a mention of an appointment. Or VISIT their official Facebook page. With coming of every event they offer different kind of attractive deals through which rates are going down. This thing gives the opportunity to all ladies that they look more beautiful. 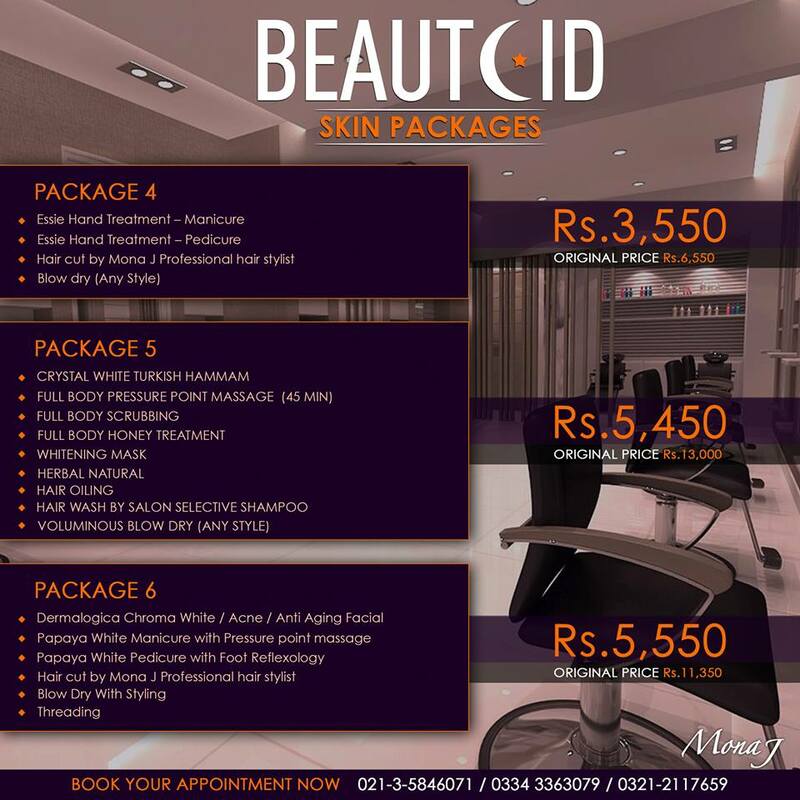 Like one last Eid, one can see these best price list. 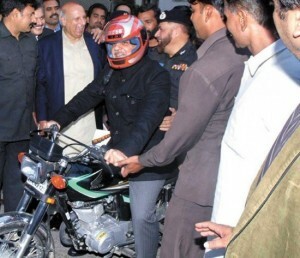 While at this time they never forget hair cutting and then its treatment, for this they also reduce rates list. Hairstyling is must necessary for a proper look so this place also offers special things for this one. 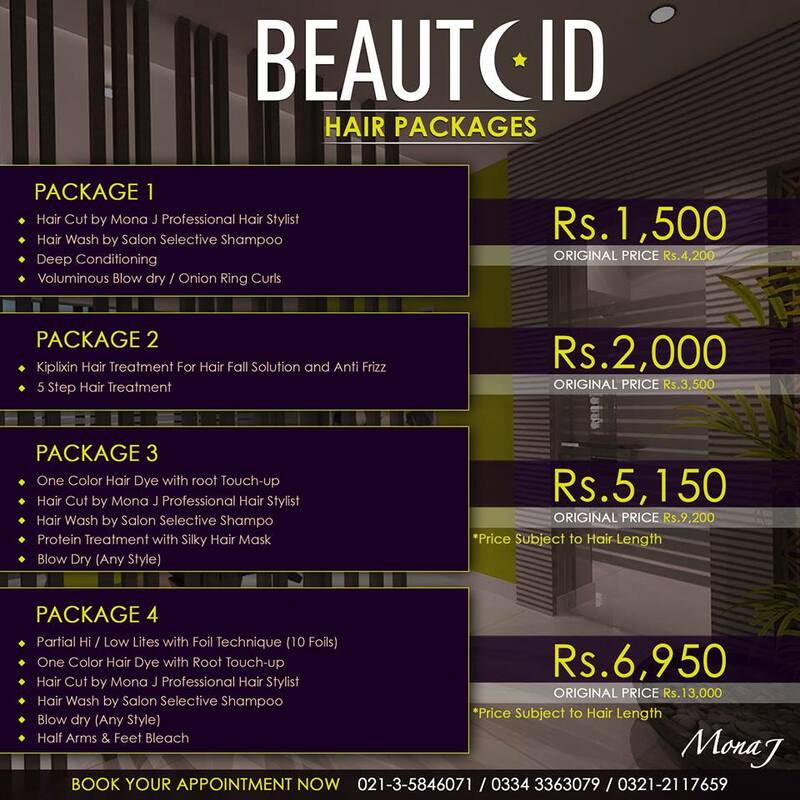 If we talk about their specialized services then they include hair fall treatment and care thermic straightening. Girls love their whitening facials, fruit and also gold facials. This place too offers treatment for your dark circle. 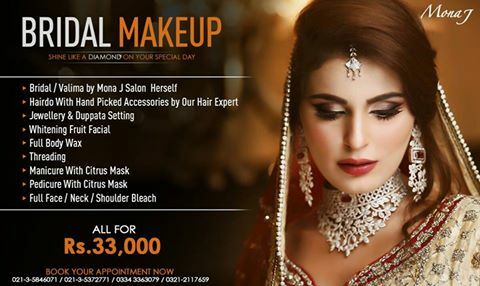 Our final word is that Mona J is one of the international standard salons which are working in the biggest city of Pakistan. 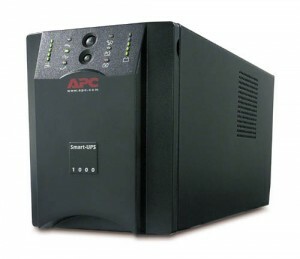 Along with this now in 2019 their deals consist of an attractive price list through which everyone can get the benefit. If you want to spend your money and really want to see the results then this can do wonders for you. Everything here is wide in number. This comes up with different packages; all income groups are catered and targeted. Whenever you get a chance must check them you will love its services.